Ursa Worlds sits on the porch of her daughter’s home on North 31st Street as her granddaughter rides her bike. An Air Force veteran who lived in Milwaukee from 2001 to 2009, Worlds began using drugs during her time in the city and, eventually, became addicted to crack cocaine. “It was not nice, of course,” she said. 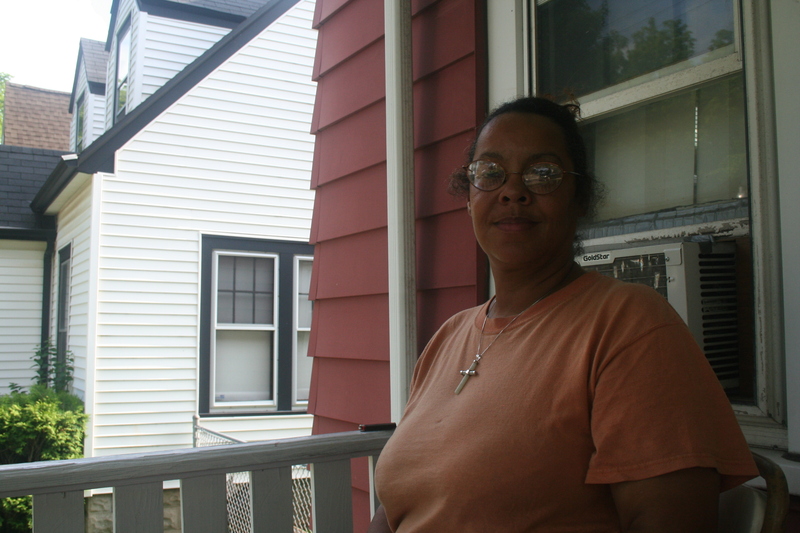 Growing up in Beloit, Worlds was one of seven brothers and sisters who were all raised in foster homes. After her stint in Milwaukee, where she lived near 21st and Hampton and 104th and Capitol, Worlds stopped using and returned to Beloit. Eventually, though, Worlds lost her job and her unemployment stopped last December. So, she returned to Milwaukee to pick up the pieces. Did you find value in Ursa’s story? If so, please subscribe to our newsletter; we publish the story of a different Milwaukeean every week.